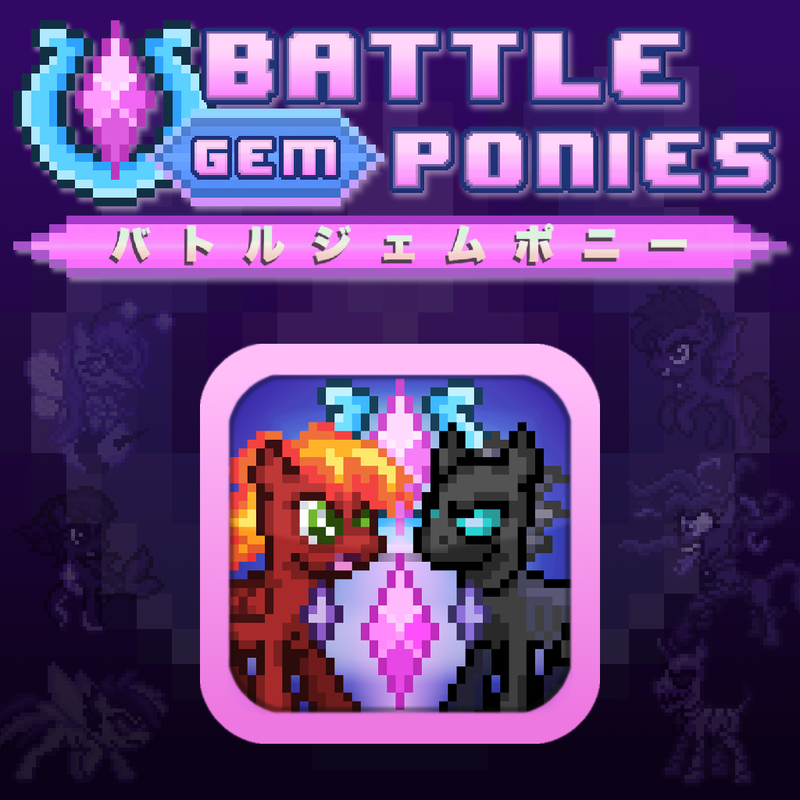 After all this time and all the delays, you'll have access to Demo 7.0 of Battle Gem Ponies this week. 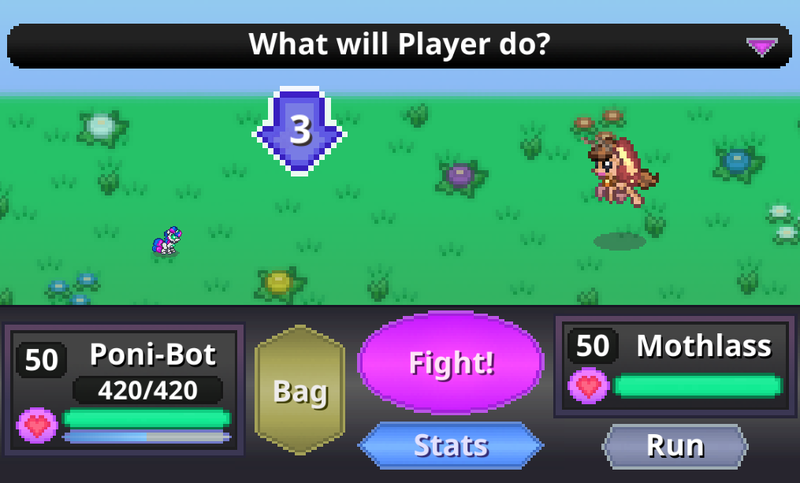 The battle calculator system is done, and now, it's even animated. The game feels better than ever, and I can't wait to share it with you. This past week I've been polishing the demo a bit, adding particles and placeholder animations to give visuals to the math going on behind the scenes making all the fights work. I want to spend just a few more days ironing out the new bugs and put this on Itch.io this Friday for all to play! 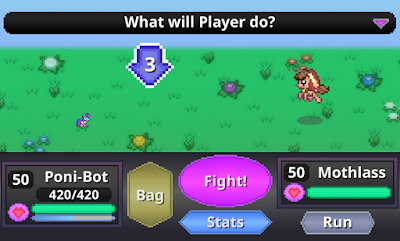 Get a peek at what I'm cooking up for the Let's Players out there to show off below the break. Finally got around to writing out exactly how I wanted the Ivory Stadium to work. Put down plans for each cup in the design document. 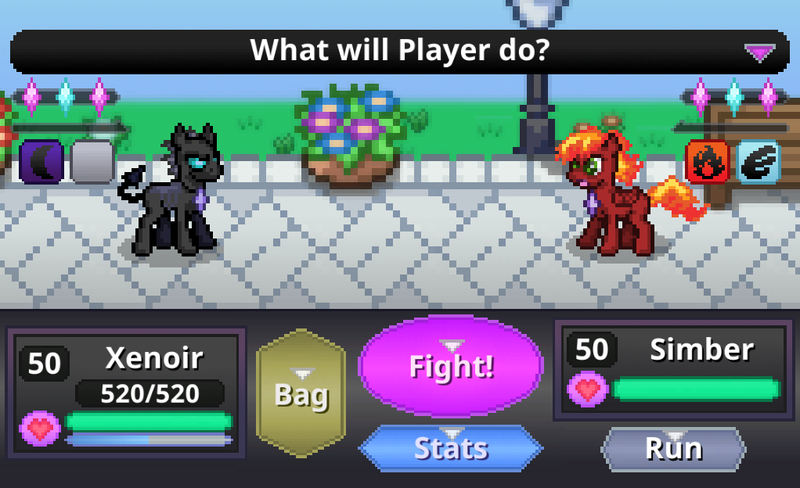 Ponies can shrink and grow with certain moves! Too bad that the rescaling makes for some glitchy behavior that needs fixing. Feels good to plan ahead. Now the final product is more clear in my head than ever. The engines used to make Pokemon fan games aren't so complex after all. I've basically recreated their tools over the years on my own without knowing. Good to know that I'm not currently at some disadvantage for not using RPG Maker. The cutscene system won't be as complex as I imagined. 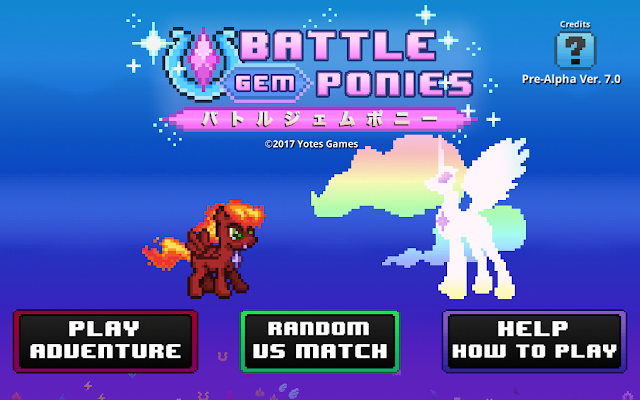 Heck, nothings going to be as hard as the battle calculator. I really feel like I've got this handled now. Demo's a month late, but feels worth it. I can't believe this! I'm so excited to see the game finally coming together. I can visualize the whole experience right now and I swear I'm probably gonna cry on launch day. People are going to play this and seriously love it as much as I do. The App I use to showcase downloads keeps crashing after the latest update so I'm not able to update the chart at the moment. Whenever that works again, I'll start sharing the latest numbers. Nothing too exciting to see until BGP comes out anyway. The numbers are basically shared every week so I can chronicle how long it takes for me to get to the 25K users of BGP required for me to consider it a success. 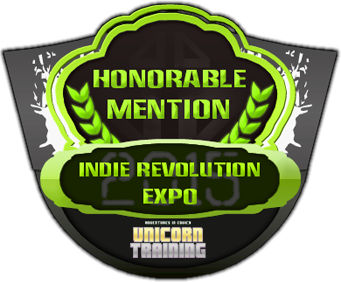 No BGP features this week, but I am expecting at least a few folks to make a video showcasing the latest demo throughout the next month. With build 7 out the way, the grind towards an alpha can begin. That means making the last few mechanics, fixing more bugs, releasing build 7.5 (maybe), then beginning construction on the final game. Have the whole thing's frame in place, entirely playable from start to finish with placeholders everywhere. That'll be a nice feeling. Just painting and polishing from there until I have a masterpiece on my hands. Or at least, a masterpiece to me, since this will be by far the greatest game I've ever made. Having this done will do wonders for my morale and confidence as a gamedev.